Indeed over the past 25 Years I’ve acted as a Magical, Mentalism and Hypnosis Consultant to some major, major names in this business around the world. 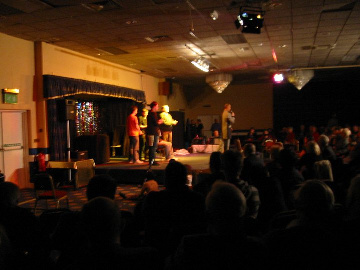 And memorably at the age of 15 with the help of Magicians Jamie Allan and David Arkay, we supplied to Television Illusionist Simon Drake our version and method of the Impaled Illusion which he then used on his UK Theatre Tour and also on the Iron Maiden “Raising Hell” Farewell Show which was broadcast on Television around the world. 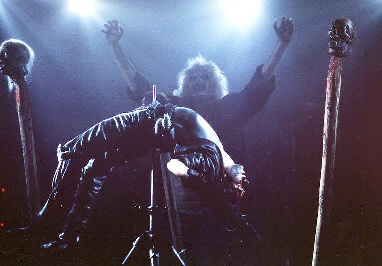 We later supplied this method of Impaled illusion to Ron Dickson of Horror Illusion Show “Nightmare” and other performers. 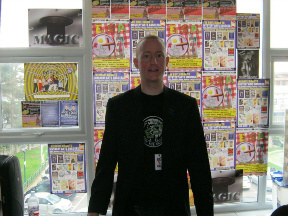 I’ve now Several New Lectures and Workshops available entitled for Magic Club & Convention bookings around the world. 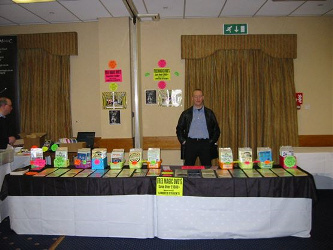 Here Are A Few Reviews of My Magic Lectures, Products & Services.. Starting with a prediction effect, he shows an envelope with JR is a _ _ _ _ on it. He then shows a deck of cards with words written on the faces and allows an audience member, to seemingly have a free choice, by picking a card behind his back. Tonight this card said w@#*er. He then opens the envelope to reveal a match! Now this looks very good, but is deviously simple, however this opener is not about the magic but about psychology. 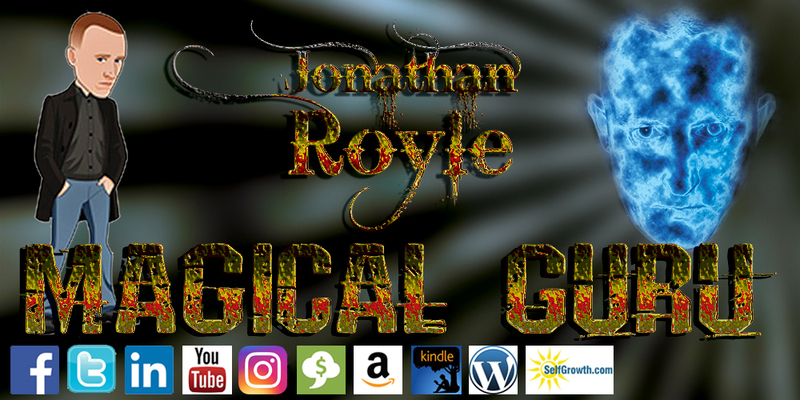 This trick lowers the guard of the audience, gets laughs and gets them on side as, Jonathan repeats many times through the night “Public don’t like magic”. He follows with another prediction style effect. Again he admits this is to bring the audience on your side. Using a play on words at the start to get laughs, this trick would surely lower the audience’s expectations. Using some classic gags, it has a hard hitting climax with a randomly selected celebrity, which is correctly predicted. On to the next effect, a very entertaining and clever effect which is guaranteed to get the audiences attention. Using 5 volunteers, celebrity face masks and showbiz stars on the floor, this is 10 minutes of pure entertainment, with a triple whammy ending. Russian Roulette! Now I perform one of the effects Jonathan doesn’t like (Devil’s Nail) and have never had an issue but he teaches a very safe, on the fly method, that works, poses little if any risk and is relatively cheap to make. He does however recommend an even safer method which he now uses instead of his own called T-2 Sterile by Randi Rain. Although I’ll be sticking with the method I’m comfortable with, I learnt a lot from this section. Playing music that raises the tension in the room and clips of the routine going wrong builds up the drama to create an atmosphere of unease amongst the crowd which is perfect for this routine. He finished with a very novel effect inspired by his daughter’s bedtime routine. The doting dad comes out in this effect as he talks about his daughter, (the audience will be well and truly onside with this!) Using a book of children’s TV Characters and number flash cards, 4 volunteers come on stage. This is a mind reading trick with a sucker effect climax which would get a standing ovation every time. Unfortunately, Jonathan has so much material that we would need a good few lectures to get through all of it. On top of a very good night, Jonathan offered a bargain of a deal on his lecture notes and other material so I hope you all took advantage! He has recently signed a deal with Murphy’s Magic to release his material, so take a look at your favorite Magic Dealer. This was when I first met him, as having got my address he called at my house. I saw him performing and was surprised at his ability in this field. I can attest to his claim to have made a lot of money at it. However he gave this up as he was uncomfortable with people believing that he was a genuine Psychic and went back into Magic and Hypnotism. 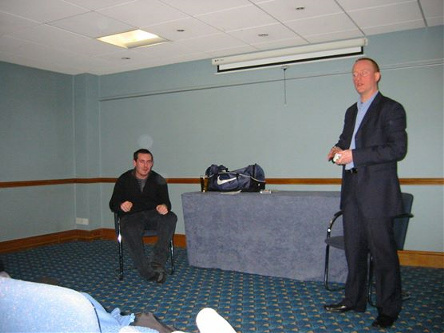 He went on to describe methods of getting publicity and more bookings and demonstrated how to enhance your performances by using psychological techniques to add impact and heightened audience reactions. He demonstrated his hypnotic technique with two volunteers. When he stood behind one of them and without touching or saying a word to him caused him to fall backwards, I heard a gasp of surprise from a member sat near to me. 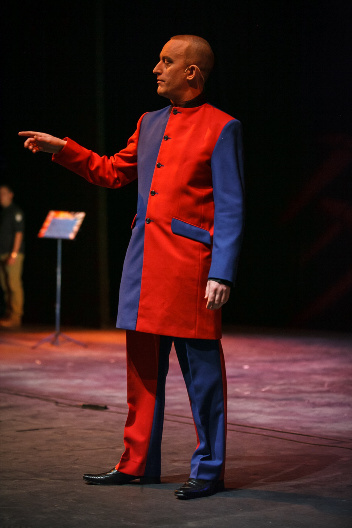 And do remember that I am also available to Perform on the Gala Shows at Magical Events which I have done in the past with great Success at The Southern England Magic Convention amongst others. Just For A Laugh In This Video I was 12 years Old Doing A Dove Act.